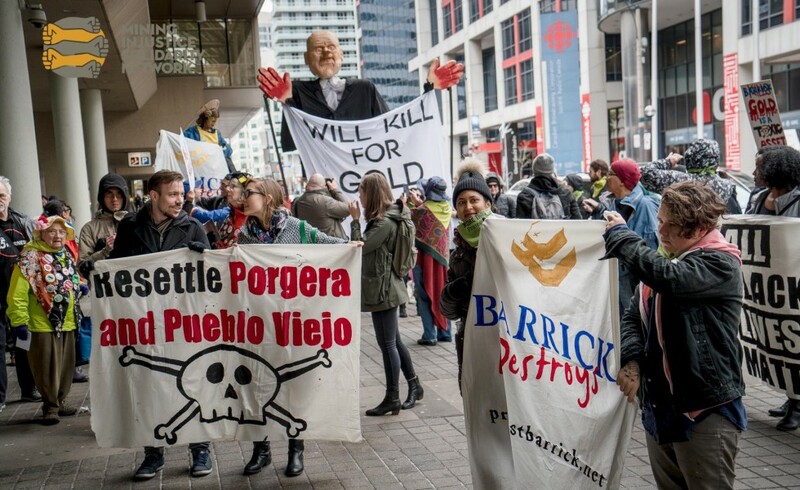 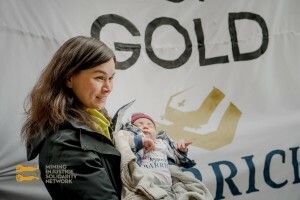 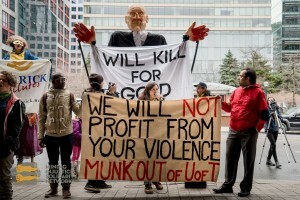 On April 26 at 11am, people gathered outside of Barrick Gold’s annual general meeting to protest that company for the 10th year in a row. 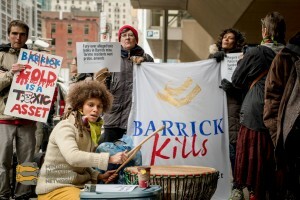 The rally outside supported statements being read inside Barrick’s meeting. 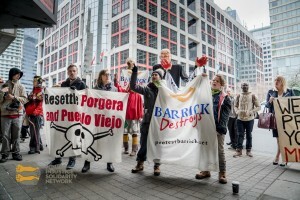 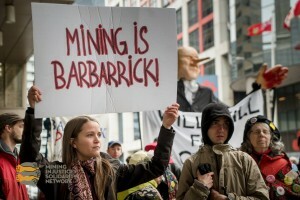 This year, the protest and statements highlighted abuses at Barrick’s mines in Argentina, Papua New Guinea, Dominican Republic and Tanzania. 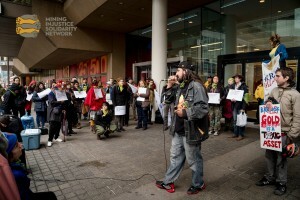 Check out some of the media of the protest!